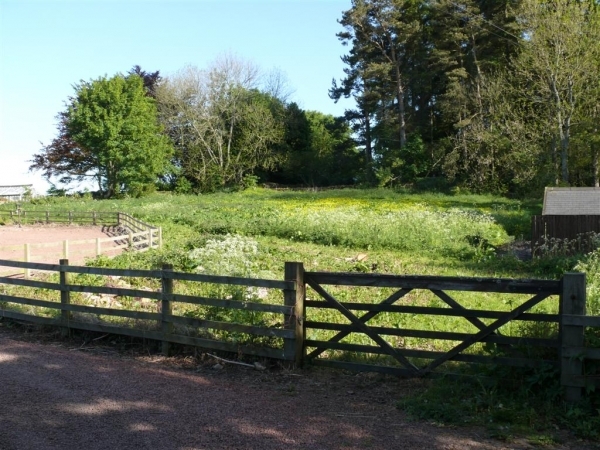 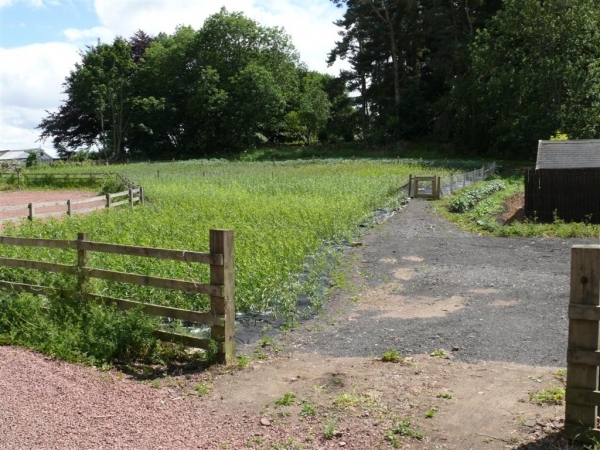 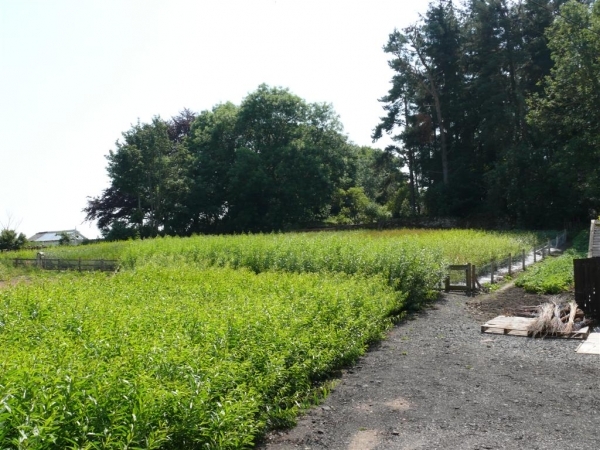 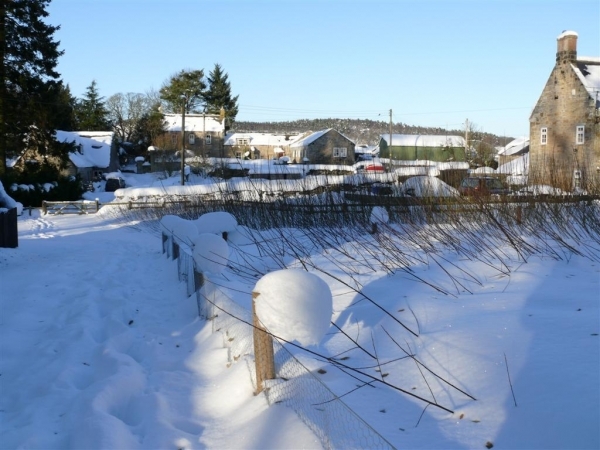 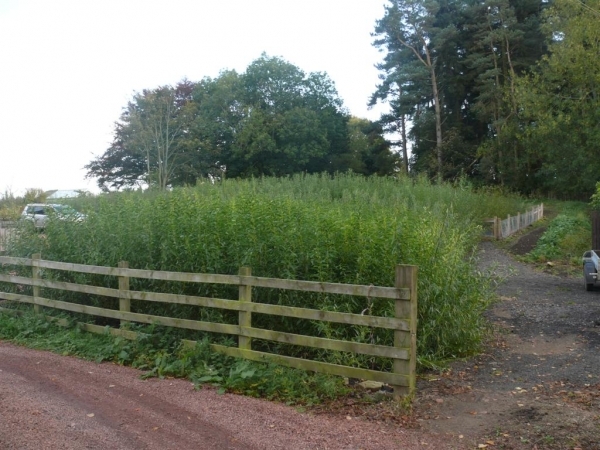 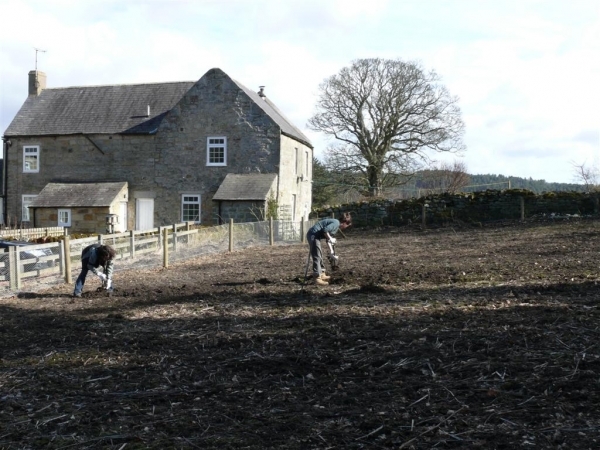 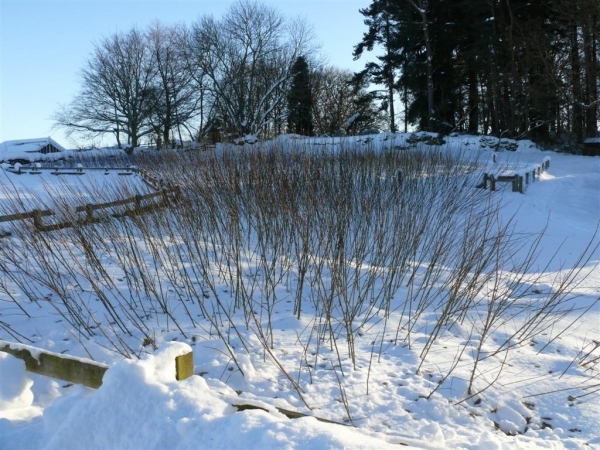 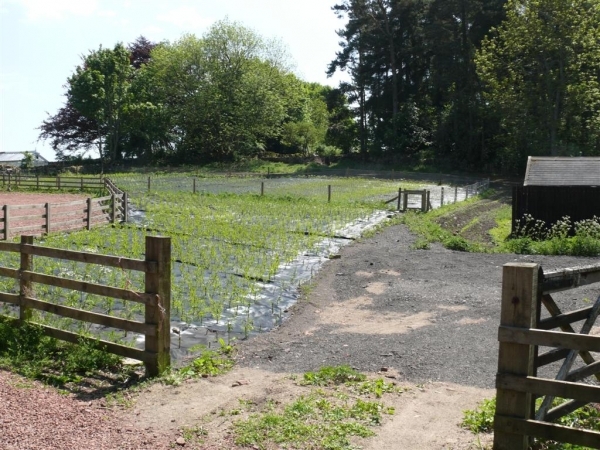 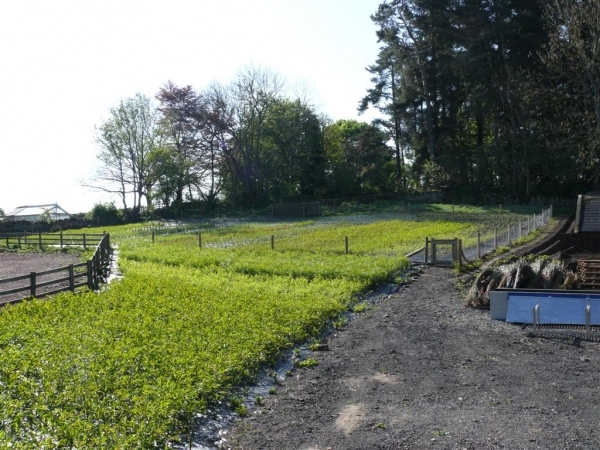 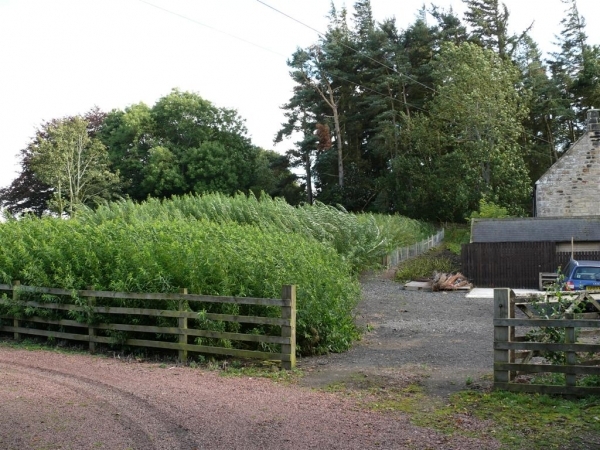 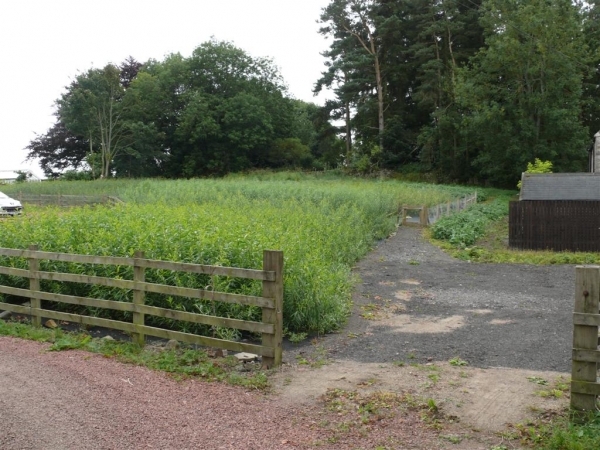 In 2009 the group rented a plot just to the south of Rothbury at Whitton. 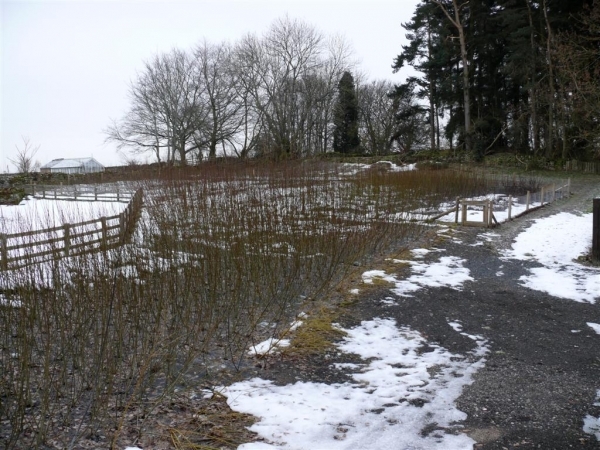 In 2010 site preparation work was held up due to the severe weather and it was not until early March that ground preparation began. 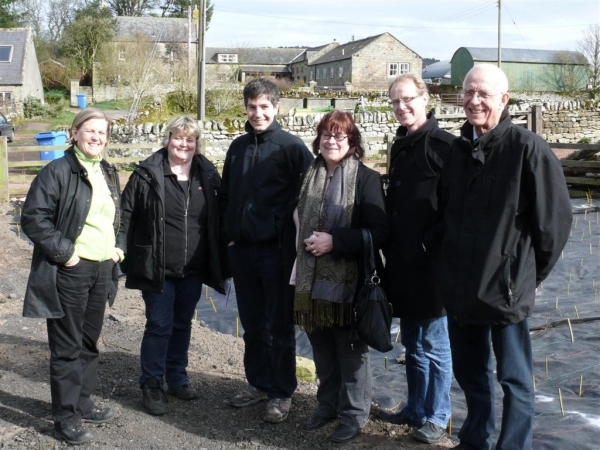 Many group members and friends were involved. 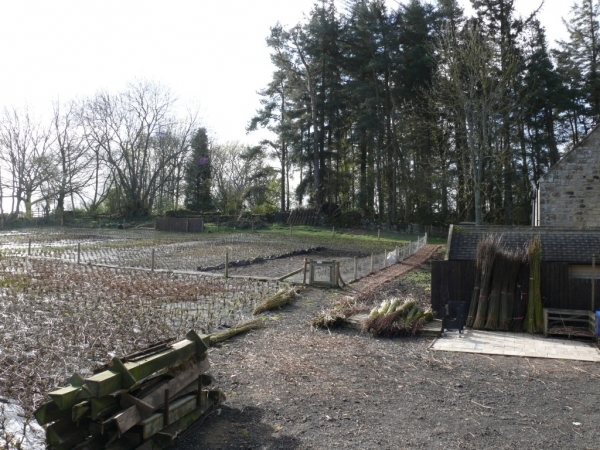 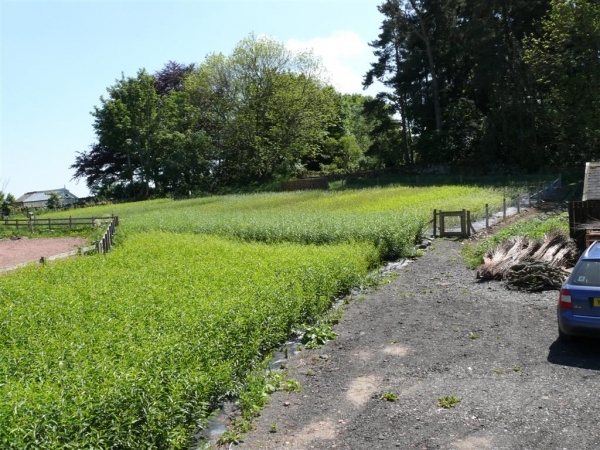 Clearing the site was difficult as the plot had not been cultivated for at least a decade. 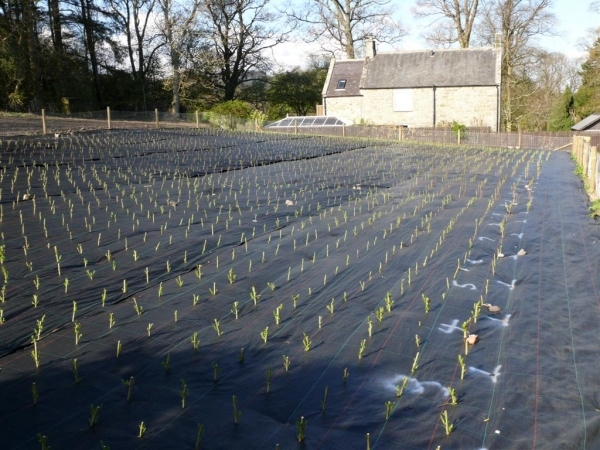 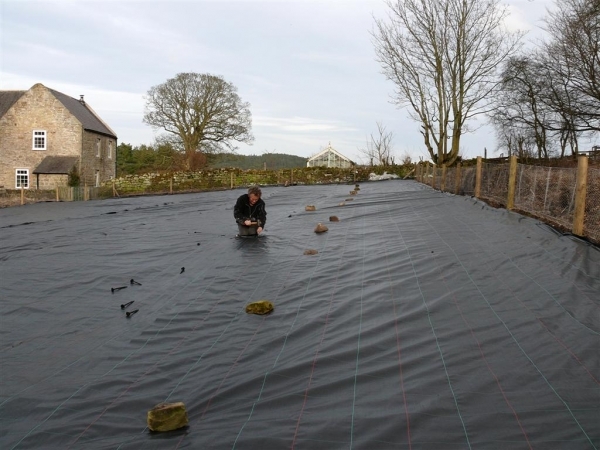 Following clearance a Mypex woven mulch was laid and pegged down. 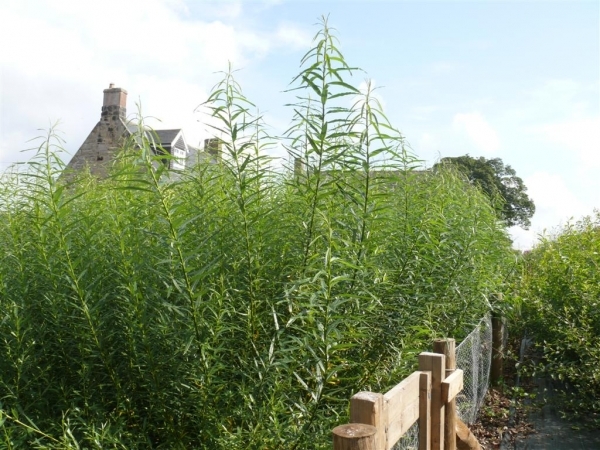 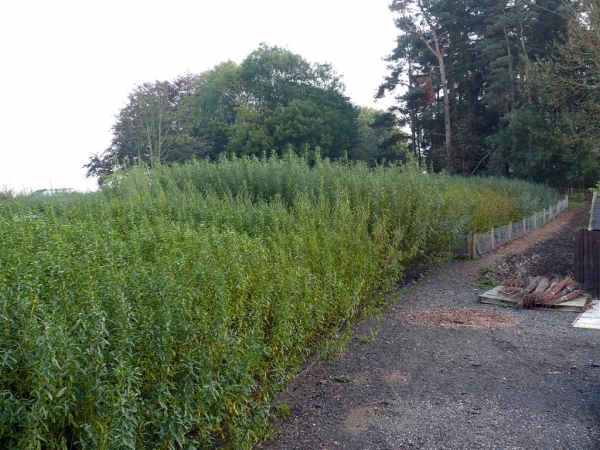 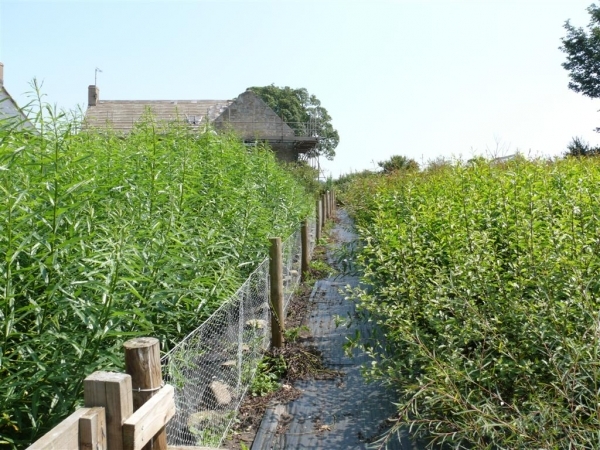 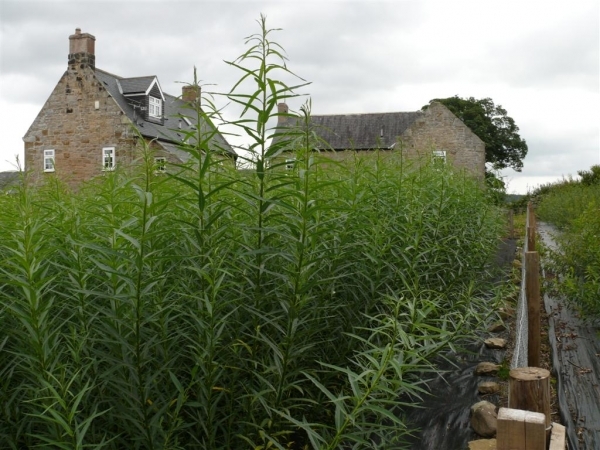 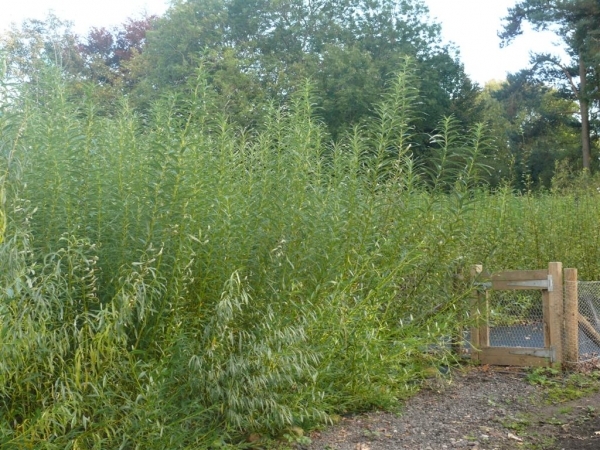 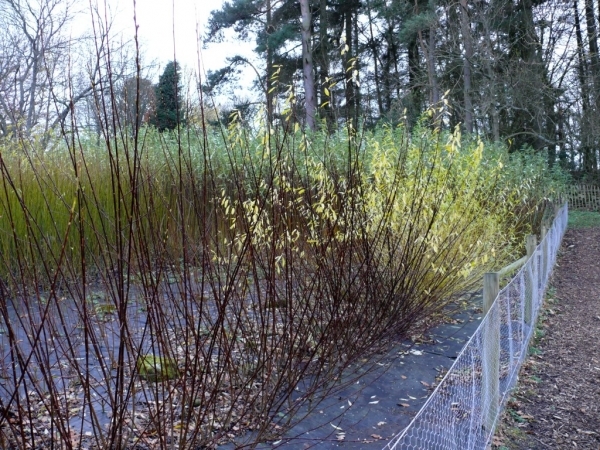 Willow rods were then cut into 25cm lengths and planted through the weed control mulch. 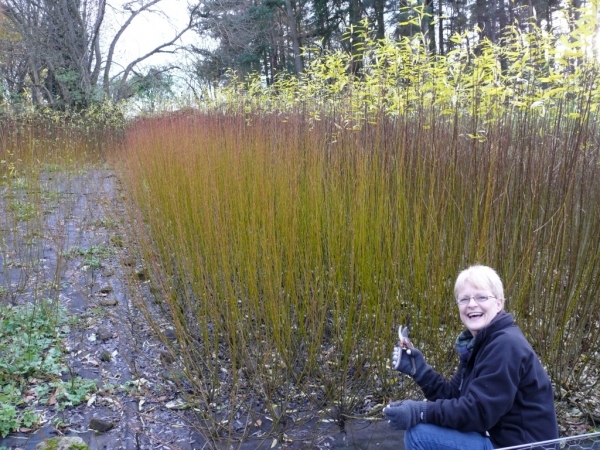 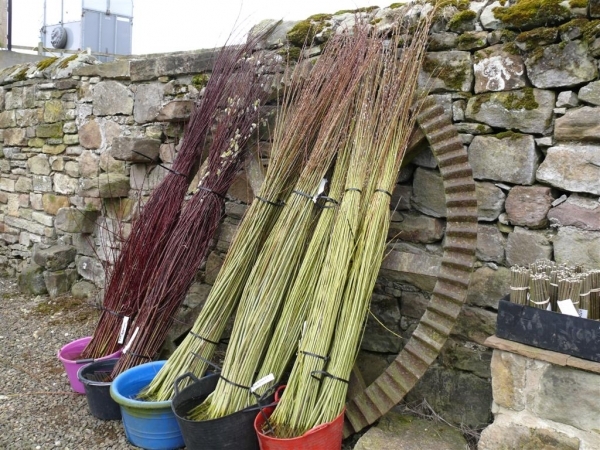 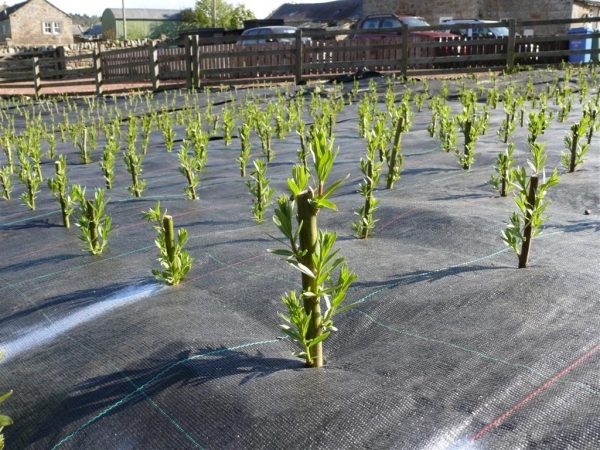 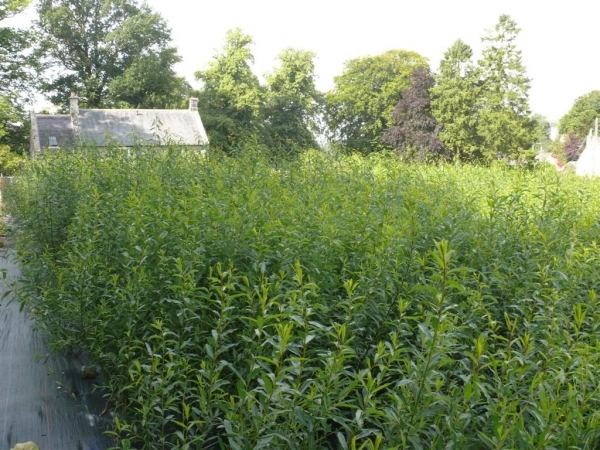 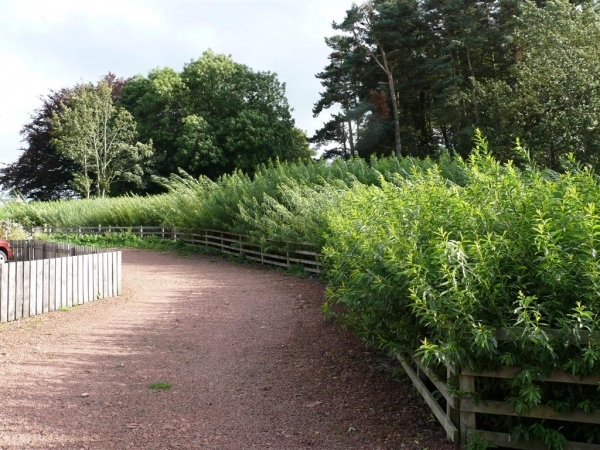 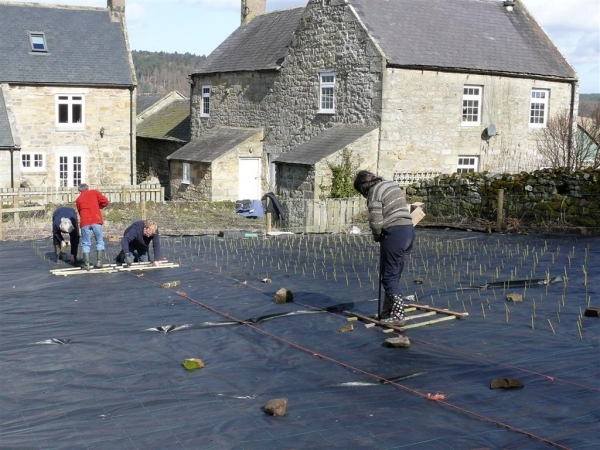 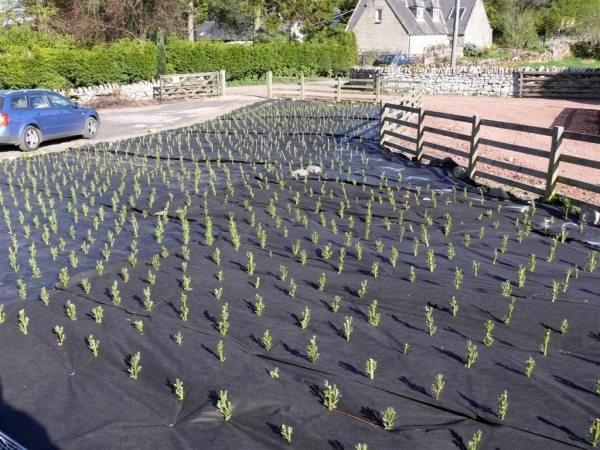 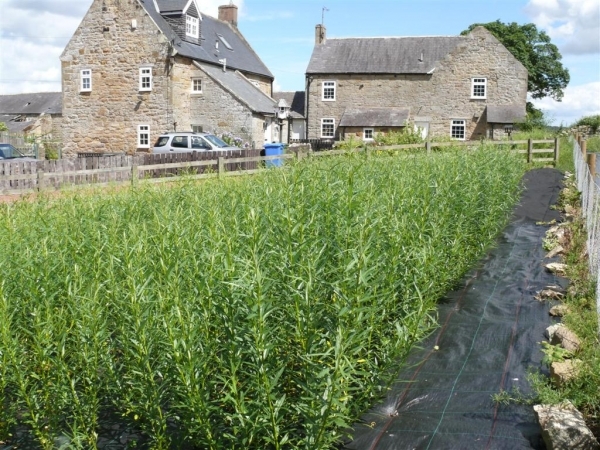 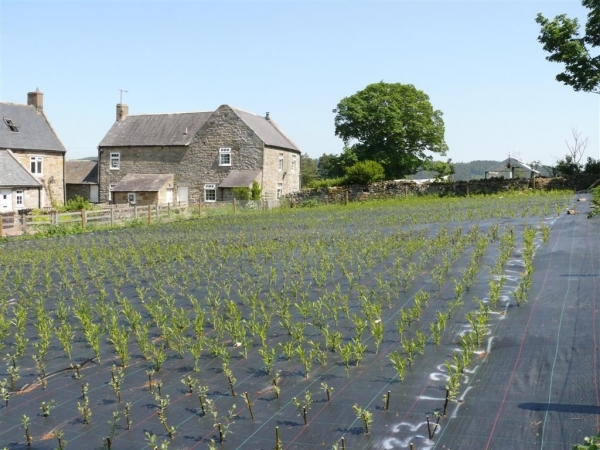 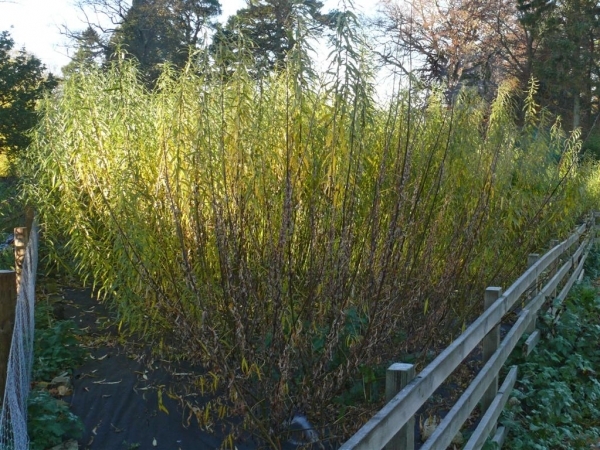 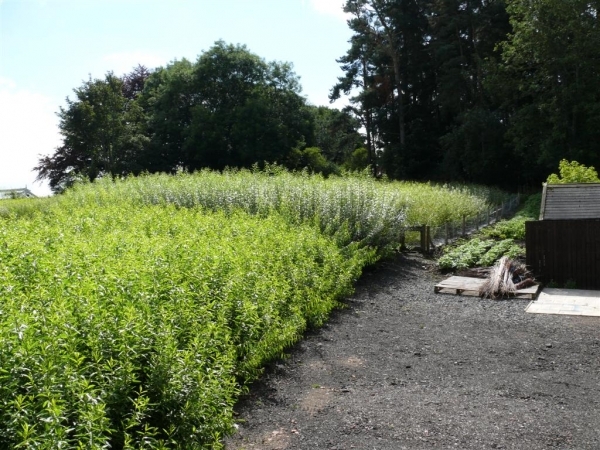 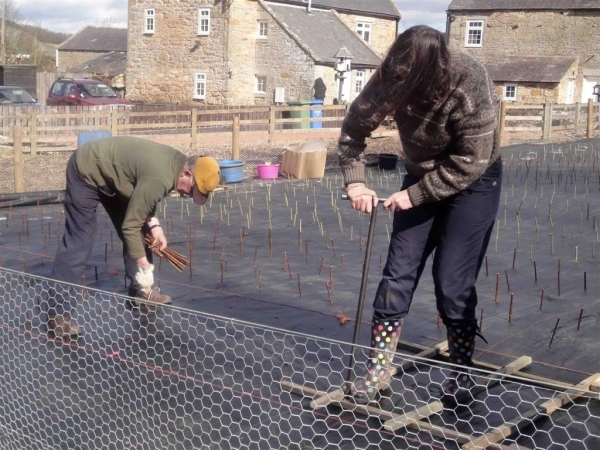 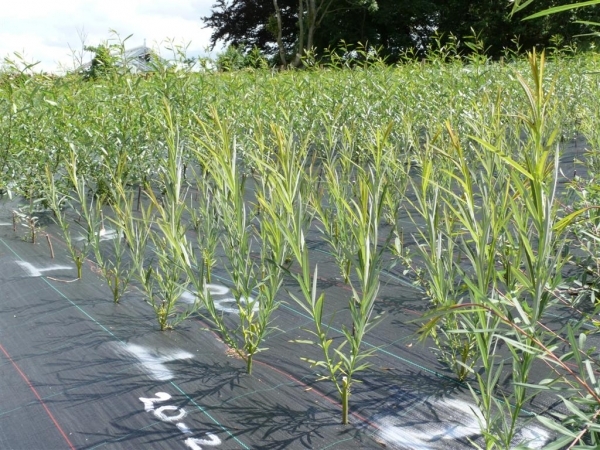 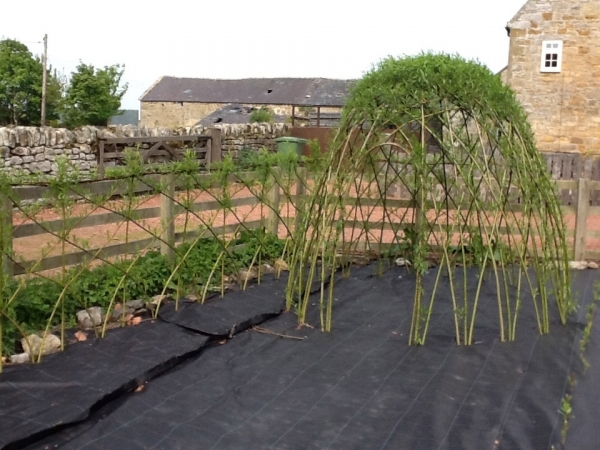 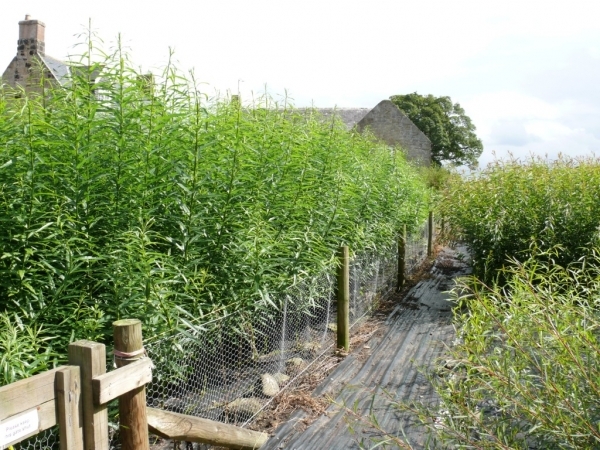 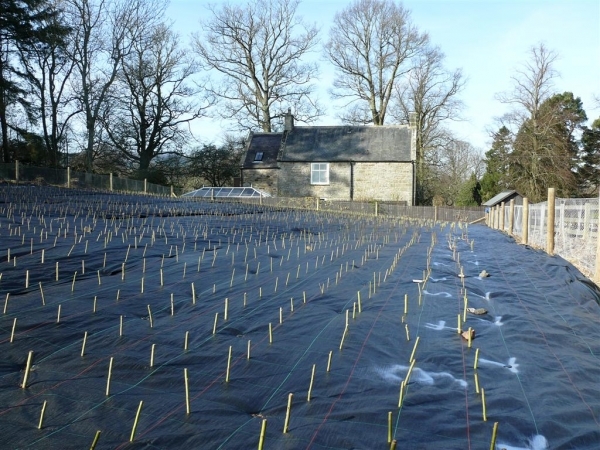 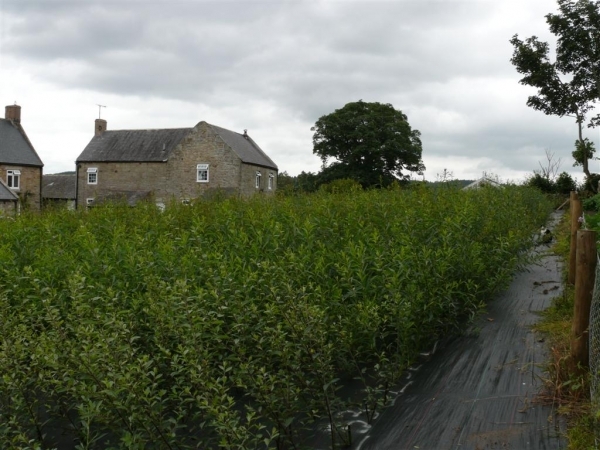 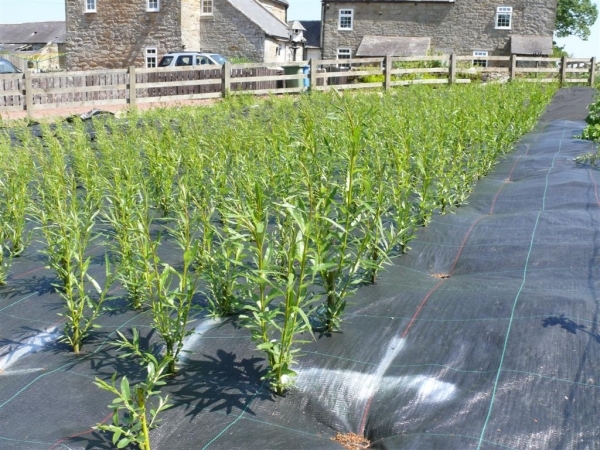 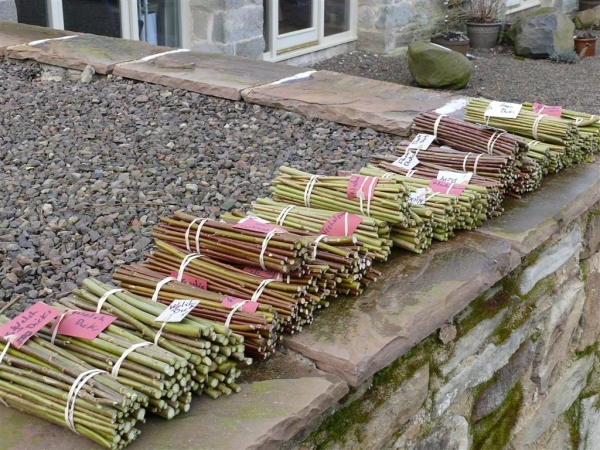 Over 7,000 cuttings from more than 20 varieties of willow were planted by the end of March. 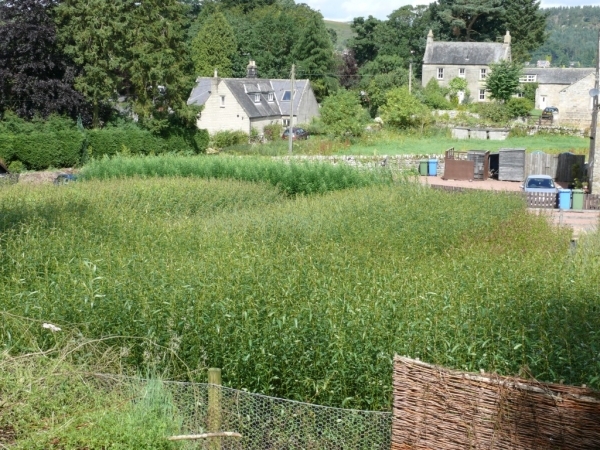 In March 2011 the plot was extended by approximately 9 metres to the south of the existing plot. 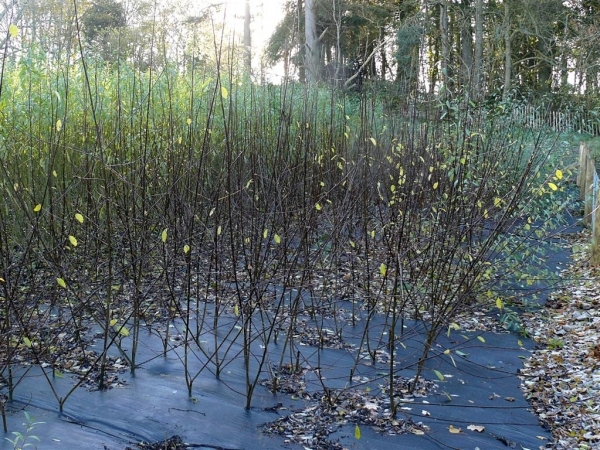 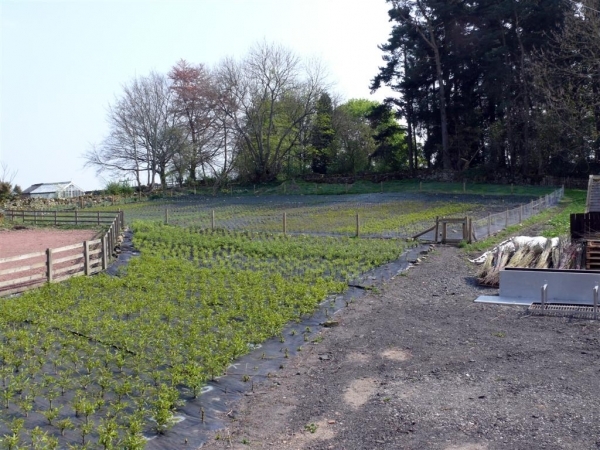 A further 3,000 cuttings of Black Maul were planted. 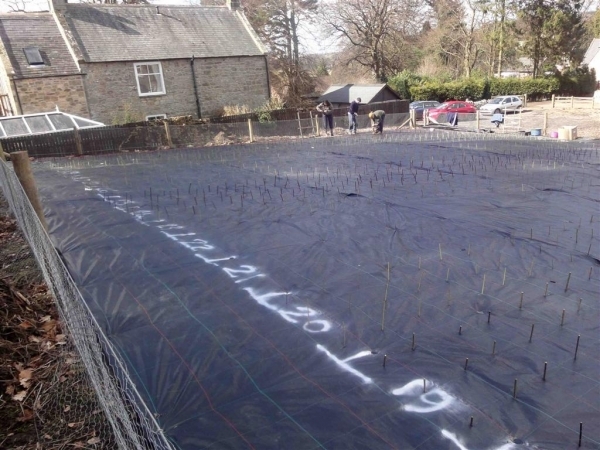 The output from the extension is to be processed for buff using a boiling tank and stripping machine. 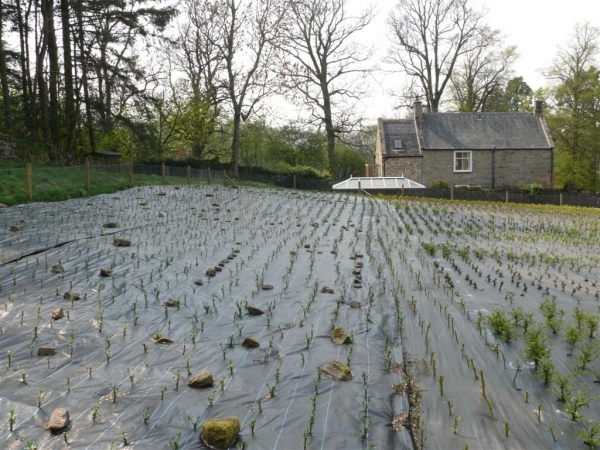 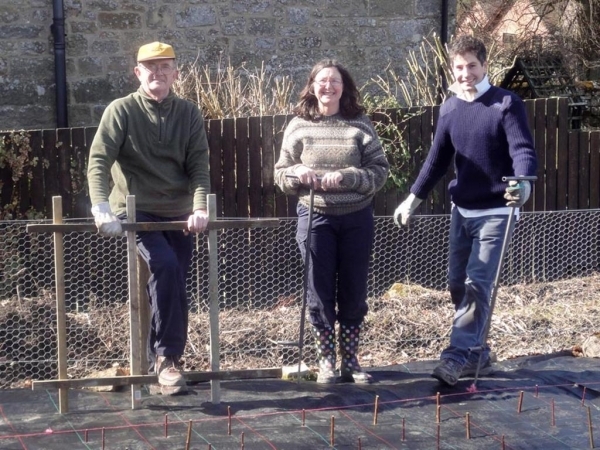 It is intended to take an image of the site at roughly monthly intervals to show progress at the plot. 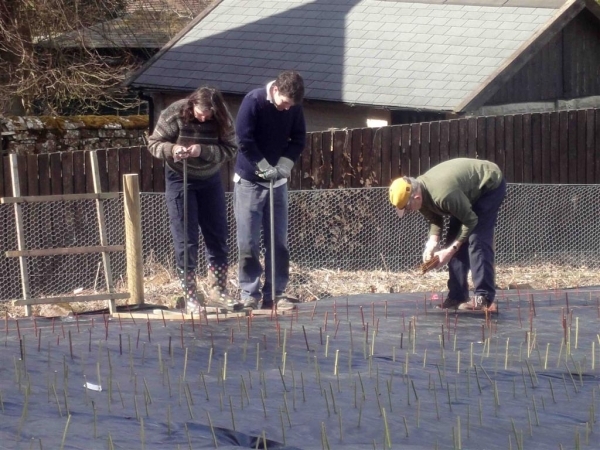 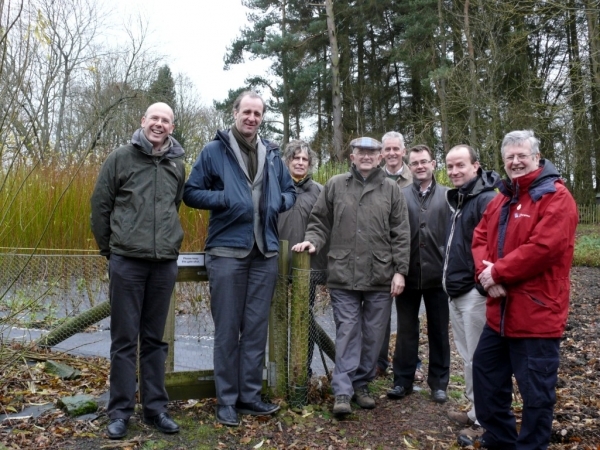 Listen to a song written about the Whitton Willow Plot workers by John Homer.